Learn the basics of financial planning, investing in Stocks, and all aspects of Real Estate with a focus on taxes, buy and hold, and exit strategies. Our info-packed 90 Day Coaching Program covers basic real estate investing math, understanding the various forms of income from real estate, market timing, and so much more! This program includes scheduled personal guidance on your stock and/or real estate portfolios. “Crucial to preparing for your future comfortable retirement"
Why real estate is the best way to build wealth..
Review your stock portfolios and check for asset allocation, fees/cost, diversification, past performance, etc. Review your real estate holdings and check for TAAR on each property: appreciation history and projections, rent / cash flow history, loan status, return on equity, fit with your "life strategy" etc. "No job" budget for 20 yrs...progress/problems/quit the day job date, etc. Registration Ends June 20! Register Now! Steve started life as a nerdy scientist with a BS in chemistry, obtaining several patents, writing a chapter in a chemistry book, and becoming the North American Technical Director of a 2 billion dollar chemical company. 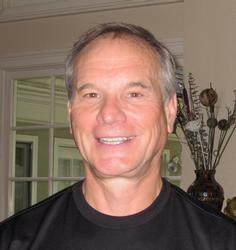 He received an MBA in finance from Case University in 1983, and, just before he retired in 2002, rather than consulting with a Certified Financial Planner, he took the CFP program at Oglethorper University and passed the national CFP boards (bar exam equivalent) in 2001, the hardest thing he has ever done academically. Payment Details: Registration Fees: Early Registration through June 12: Members $447, Non-members $647; After June 12 Members $497; Non-members $697. Registration ends on June 20. Register Today!